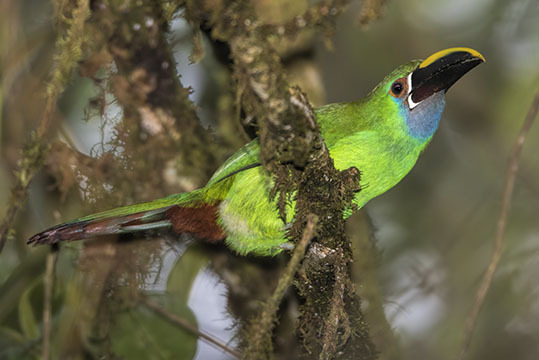 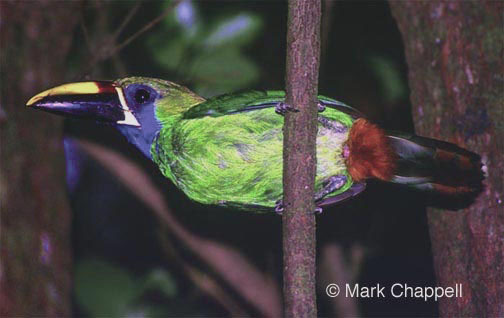 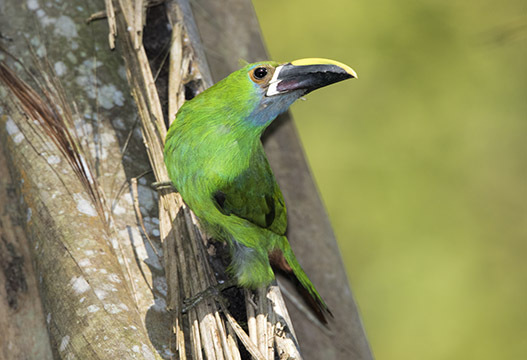 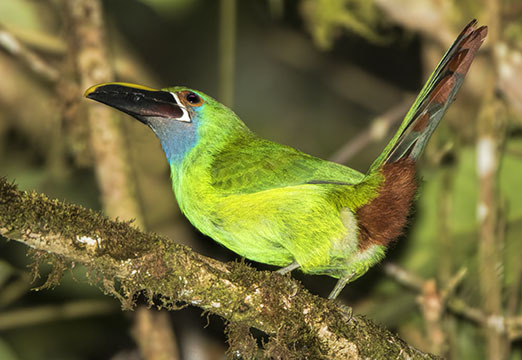 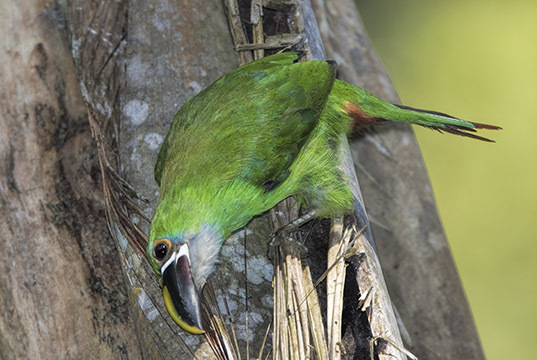 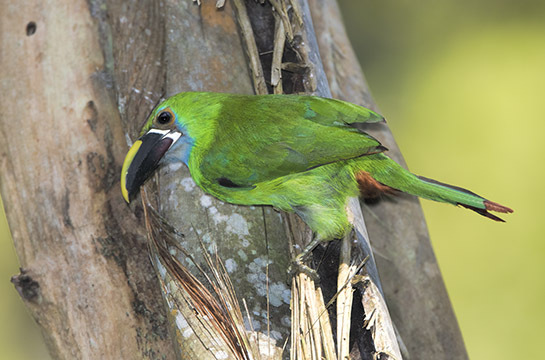 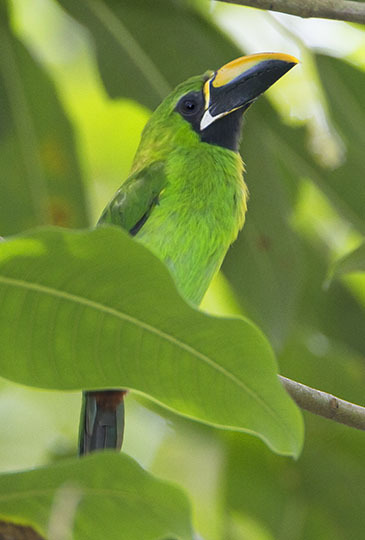 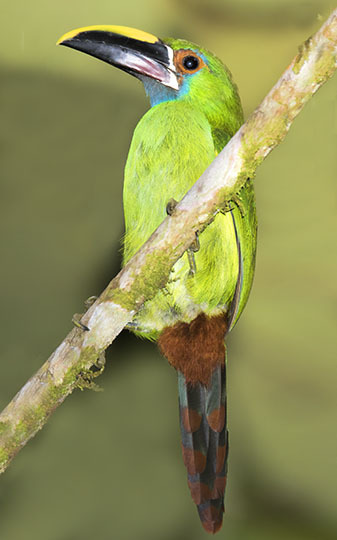 Toucanets are small members of the characteristic Neotropical toucan family. 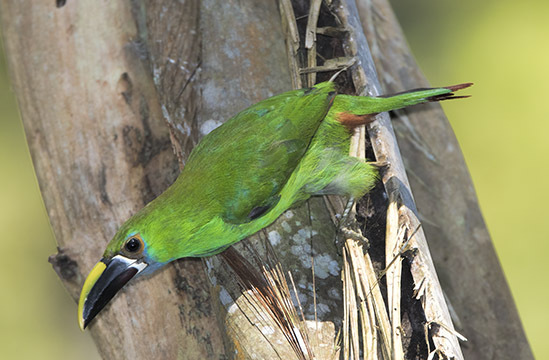 Although common, they are always a thrill to see for any temperate-zone birder. 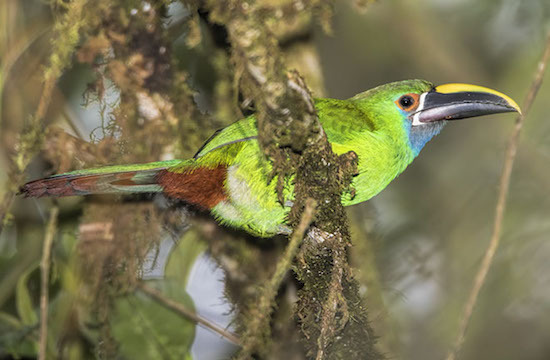 These were photographed at Monteverde, Costa Rica, in southeastern Peru, and in cloud forest above Cali, Colombia; because of the very dim light I used fill-in flash.